I’ll cut to the chase: the end of Mother’s Day found me in my too familiar spot, alone in a hotel room, preparing for a painfully early (6:15 AM) meeting that is a must attend situation. I knew I had to go, but I procrastinated as much as possible to spend more time at home before packing up and hitting the road about 5 PM. An 11 mile stretch of road construction also padded my drive by an extra thirty minutes, which soured the experience even more. The day leading up to that moment wasn’t too bad, though, despite MGM (9) waking me up at 5:45 AM to try and find a lost iPad. With the crisis averted, I was able to successfully doze until about 8 AM. Spouse made breakfast tacos while Trixie (8) and I read outside, coffee in hand (me). 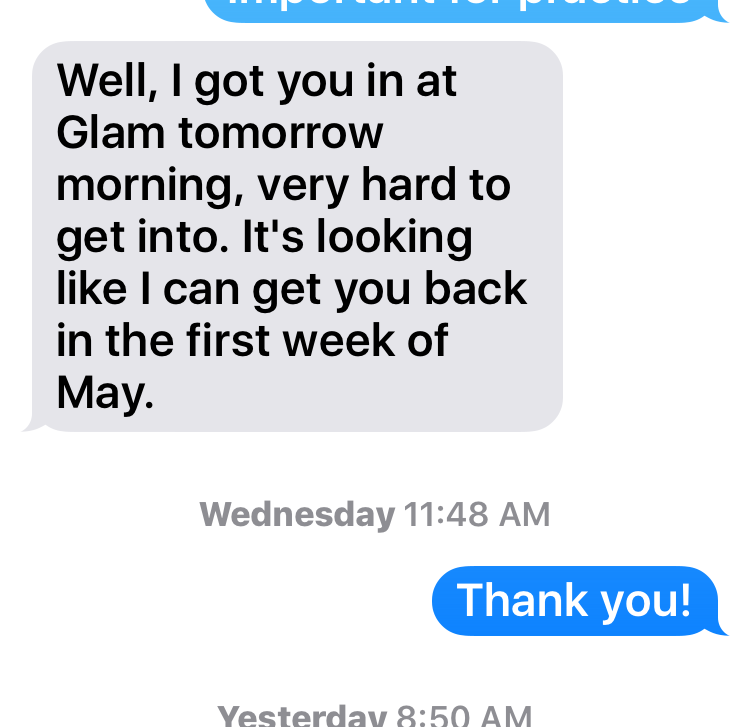 Unfortunately, I tweaked a muscle in my left leg on Friday at Orangetheory Fitness, and running – normally a thing I love to do on Mother’s Day (see below) – was out of the question. After breakfast, the whole family went for a walk. It was a beautiful day but both kids vociferously complained about being outside. The dog quit after about 10 minutes and had to be carried most of the way home. For the past three years, I’ve spent Mother’s Day running my favorite race, the RunDisney Tinkerbell Half Marathon, which is held in and around Disneyland. I’ve typically gone out to California on a Thursday, checked into my hotel and gone to the race expo, then spent Friday by myself at Disneyland, completing a 10K race Saturday and the half on Sunday, then flying home – renewed and refreshed, plus with new bling – Sunday evening. With all of the changes this year, being gone even more from the family seemed rude, and frankly, I couldn’t justify the expense of a solo trip to Cali when we are sitting with an unsold house (nearly 50 days on the market and no bites, huge sigh), moving expenses, etc. Back at the Ranch: Trixie and I read outside some more, I took a nap on the sofa (!!! ), we went for another walk, made gluten free chocolate chip cookies, and then I really had to go. While an obvious nod to current-ish events and Elizabeth Warren, I think this is also appropriate given everything we’ve got going on in our lives right now. Happy Belated Mother’s Day to those who mother – in the broad verb sense of the word – in every possible way. 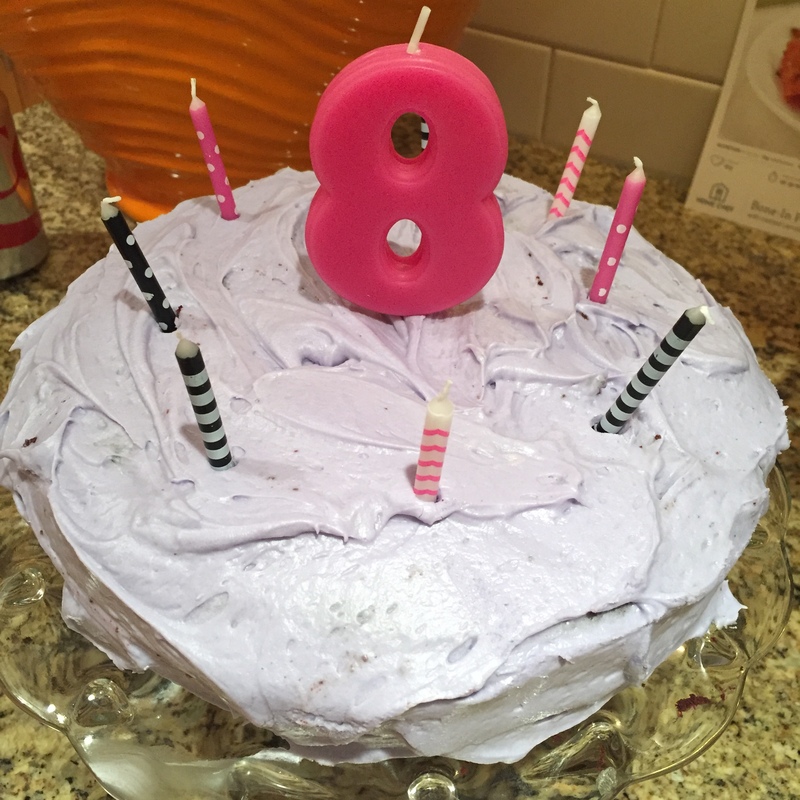 Trixie turned eight on Sunday. 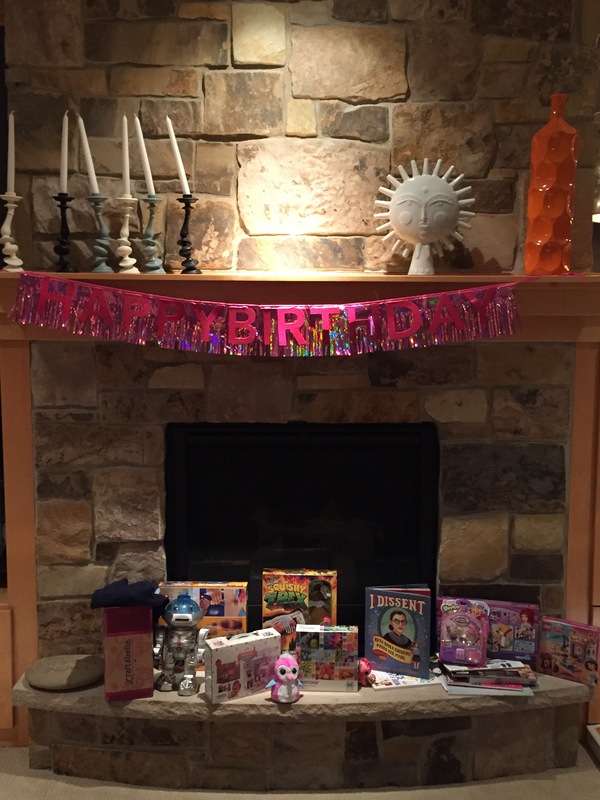 She was sooooo excited to open her presents that she woke me up at 6 A.M. to get the party started. After being told that 6 A.M. was far too early to wake everyone up on a Sunday, she came back to check at 6:30 and 7:00. At 7:01, I relented, got out of bed and fired up the coffee. 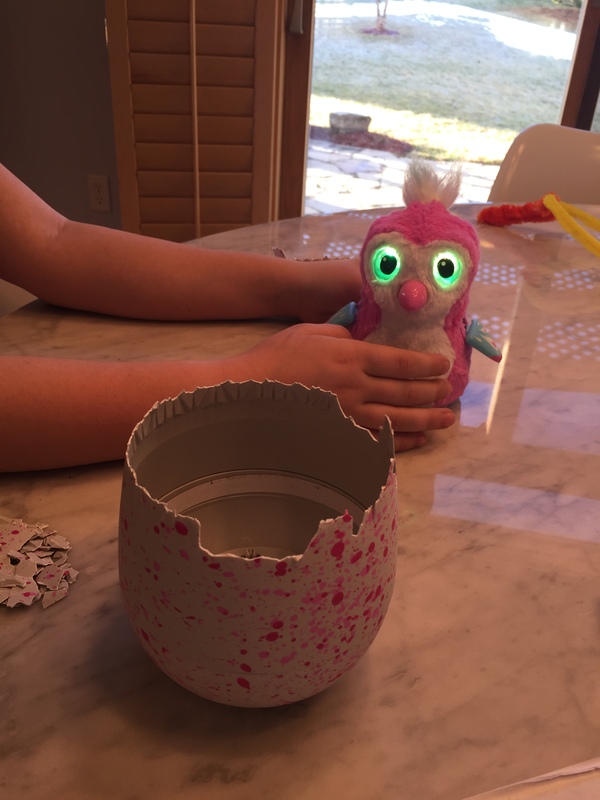 Through my friend M., we were able to secure a Hatchimal as a gift. Unfortunately, Trixie’s Hatchimal did not hatch, which appears to be a common problem. 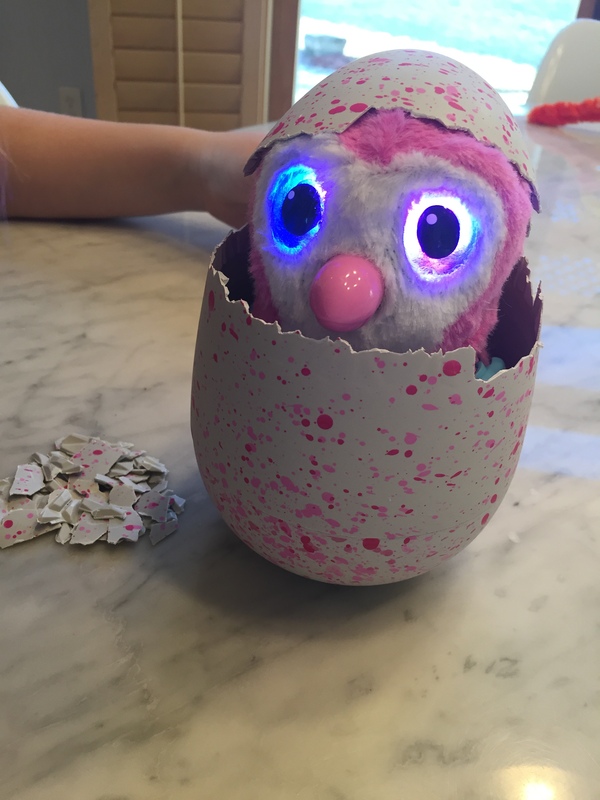 We were able to open the shell ourselves, which prompted her to declare that her Hatchimal – “Pinky” – was born via cesarean section. 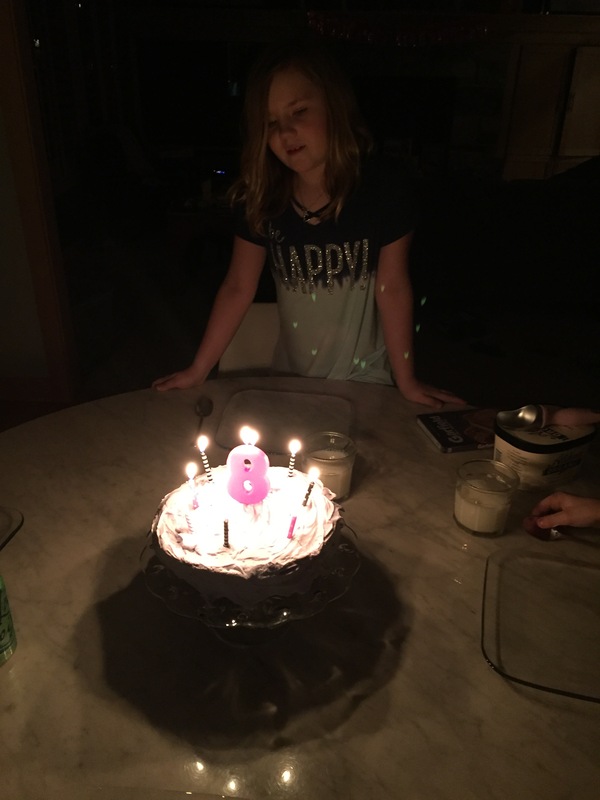 She declared it the best birthday ever. Heart full. This isn’t exactly a Valentine’s Day-related post, but this made my heart swell on multiple levels. 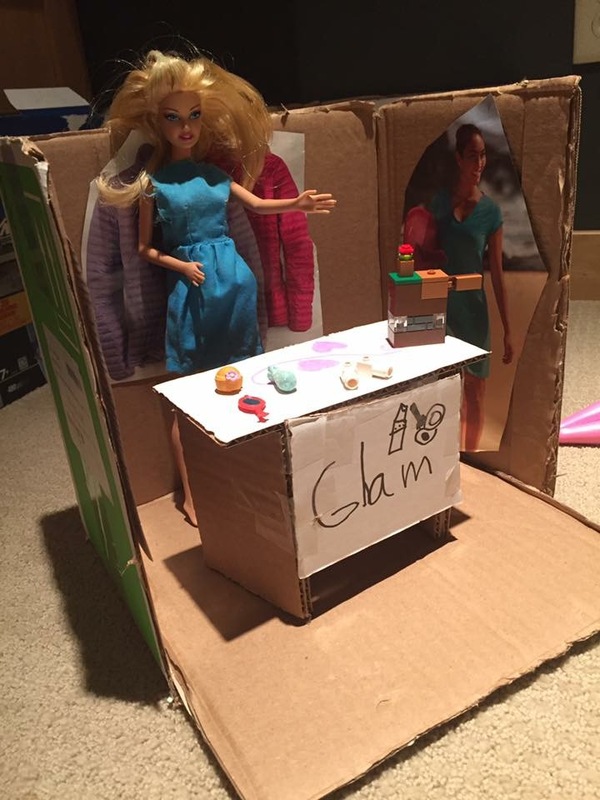 Last week Trixie created a doll store from a cardboard box. Welcome to Glam, ladies and gents! I love her creativity, especially the wall displays (catalog images) and the cash register (??) made of legos bricks. The counter is stocked with accessories. This is *exactly* the kind of thing I would have made when I was her age. Heart. Spouse created an elaborate backstory for Glam, namely that it’s such an exclusive boutique that it’s appointment only. Made me laugh. So much love.